Wednesday morning, Dr. Jessica Lach and Fitness Coach Tyler Saso, shared some tips and moves that anyone can do from home to avoid pain while working out. 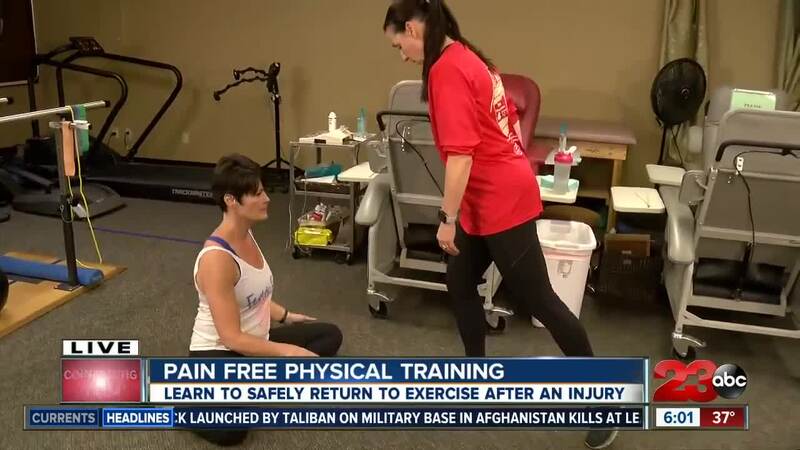 BAKERSFIELD, Calif. — If you have ever injured a body joint, you know that getting back into any physical activity can take some time and be painful. Wednesday morning, Dr. Jessica Lach and Fitness Coach Tyler Saso, shared some tips and moves that anyone can do from home to avoid pain. The local clinic, Ankle and Foot Physical Therapy, provides therapy to help guide people in the right direction when they begin their work-out journey after recovering from an injury. The video above is from three different segments from the morning show on Wednesday. To find more information click HERE .